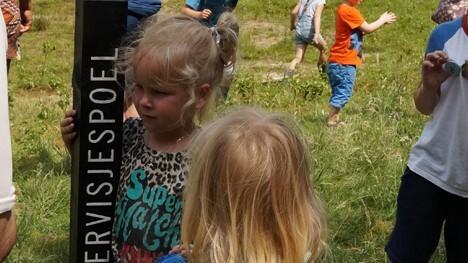 On October 1, 2018, the Foundation Historische Sluizen en Stuwen Nederland (HSSN) awarded Waterschap Aa en Maas with the first prize for the restoration of the Bovenlandse Sluis. The jury praised the high quality design of the balconies, so that passers-by can experience this nicely restored unique lock even more. Kulturbahnhof Hamburg Harburg is a major hub south of the Elbe. 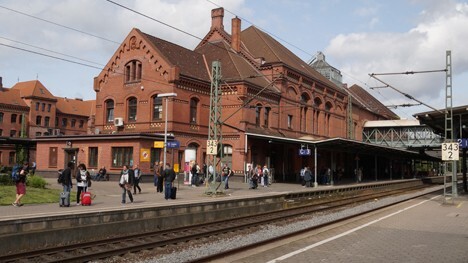 Deutsche Bahn has focussed its attention to the 19th century station with its wide green platforms. 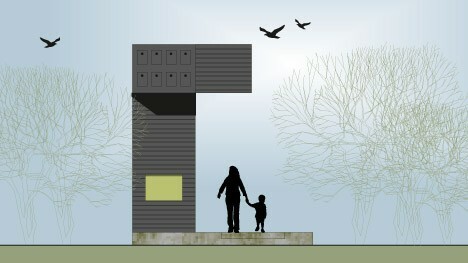 In cooperation with Trafique landscape designers and Liesbeth RijnjaBlom&Moors is developing the plans for the redesign. At the Dag van de Openbare ruimte 2017 Struyk Verwo Infra introduces its latest products. 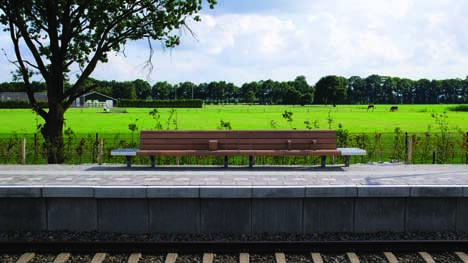 The Greenline series is designed in cooperation with Blom&Moors and offers a multifunctional series of concrete elements. The slender elements with a slanted profile are available in 2 heights: 30 and 45 cm. 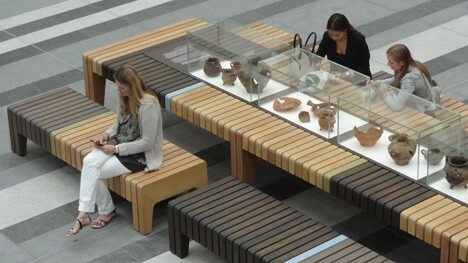 In addition there are elements with seats in bamboo or wood. Visit the stand and see them "for real"! Commissioned by Deutsche Bahn Blom&Moors has designed a new seating system and pavilion that are currently being tested in a pilot at Wolfsburg Hbf. Gute Reise! 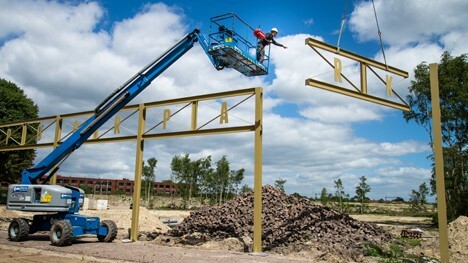 On April 10, the City Council agreed with the construction of the Spoorpark in down town Tilburg. We are busy with the elaboration of the design. 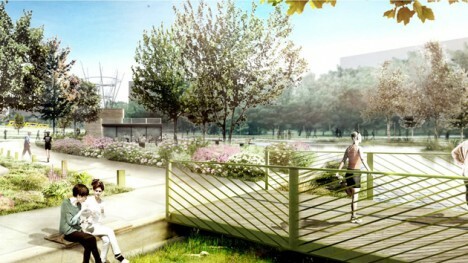 In September the construction will start, so visitors can enjoy the new park in the summer of 2018. 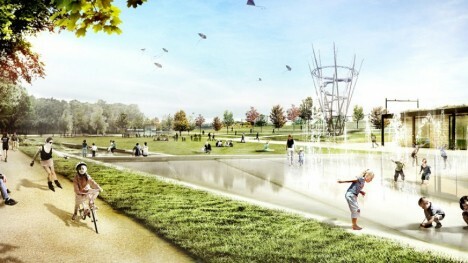 A new park for Tilburg! 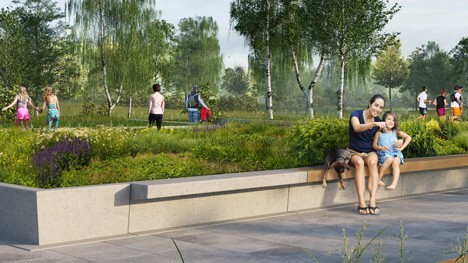 The ambitious plan for this park with the name Spoorpark (Rail park) is presented on 3 February 2017: a groundbreaking citizens' initiative, as the result of an intensive cooperation between 8 quartermasters, 1 group of organizing directors, 4 counselors and two design agencies: KruitKok Landscape Architects and Blom&Moors. With this plan, the city center of Tilburg gets enriched by 10 hectares of green space in which you experience every day something different. 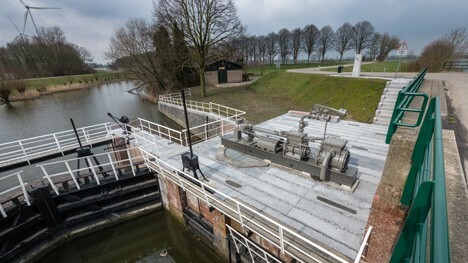 The restoration plans for the Bovenlandse Sluis have been developed: commissioned by Waterschap Aa en Maas Heijmans fully modernised and restored the complex. 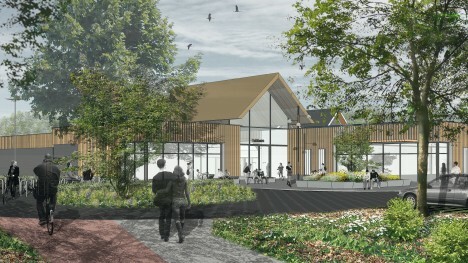 This offered an excellent opportunity to realise the second part of our plans for the project Balkon aan de Maas: at the location of the former steam pumping station a nice place to stay is developed. Shopping centre ‘Arena Den Bosch’, which is located in the city ‘s-Hertogenbosch, is attractive and inviting for shoppers again. 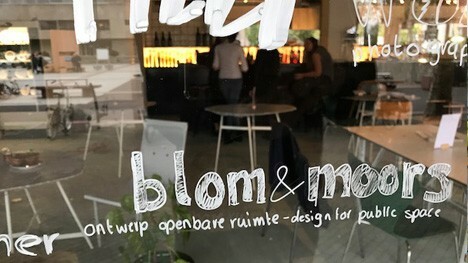 Blom&Moors and architect Bob Custers of VOCUS architecten BNA worked together on a new impulse for new facades and public spaces. Meanwhile the Arena is in full use. 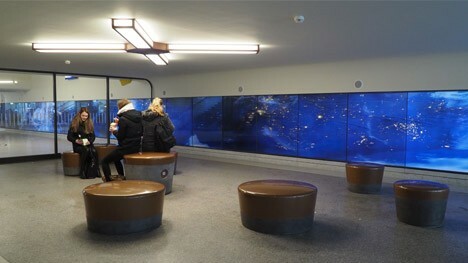 The public enjoys the new meeting places. In the glass display cases at large table a series of archaeological finds is shown, coming from the pottery that was located here in the middle ages. The realisation of the Balcony at the river Maas is completed and ready for her visitors. 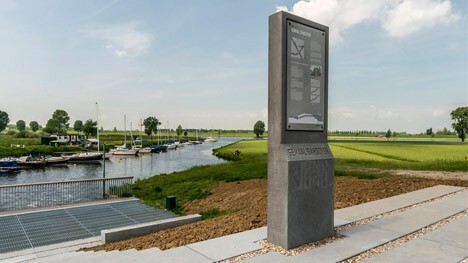 Waterboard Aa en Maas, contractor Postma and Blom&Moors are looking back on a splendid cooperation and a special project result. 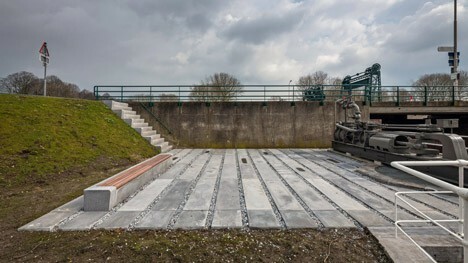 Cyclists and walkers along the dyke may pause in this special place near the pumping station and inquire themselves about the history, function and ecological value of the three special hydraulic engineering works. And besides it is a lovely spot for a picnic.